Funny vector cartoon image of a stylized clown showing his awesome toss juggling skills. In toss juggling, objects as clubs, rings, bean bags or balls are thrown in the air and caught. Toss it, don’t drop it! 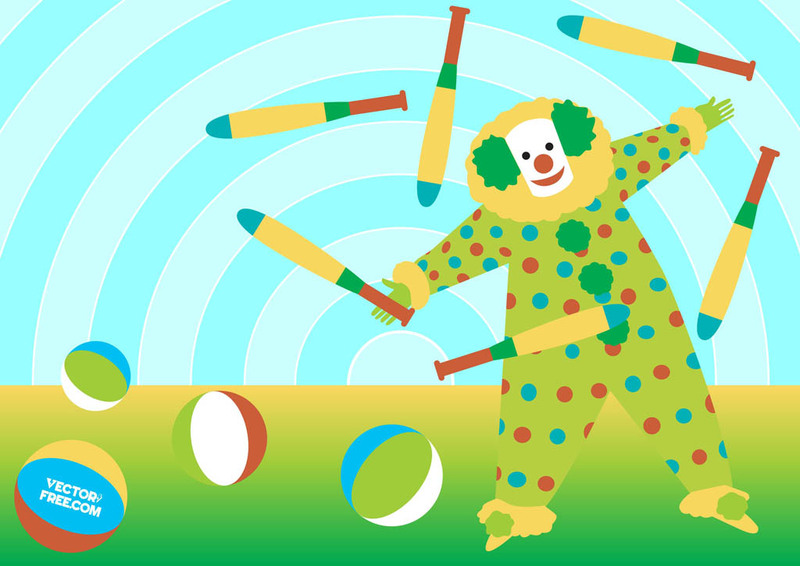 Download circus illustration of clown with juggling clubs and colorful balls to create juggler, entertainer, performer, tricks, costume or make-up graphics. Tags: Balls, Circus, Juggling Clubs, Performer, Performing, Tricks.